Views from the white tower. 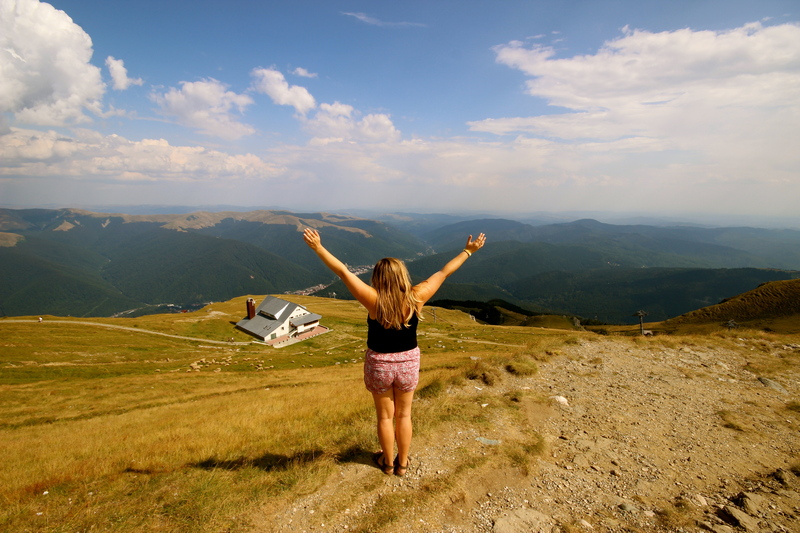 We left Doors Hostel in Bucharest on a high, feeling re-enamoured with travel again and like nothing could stop us as we headed north to Transylvania… that is, nothing except missing our train because we decided to wing it and hadn’t pre bought tickets. With several hours to kill until the next one, we caught the metro to M60 for the third time, and ordered some lemonade for our baggage and ourselves. 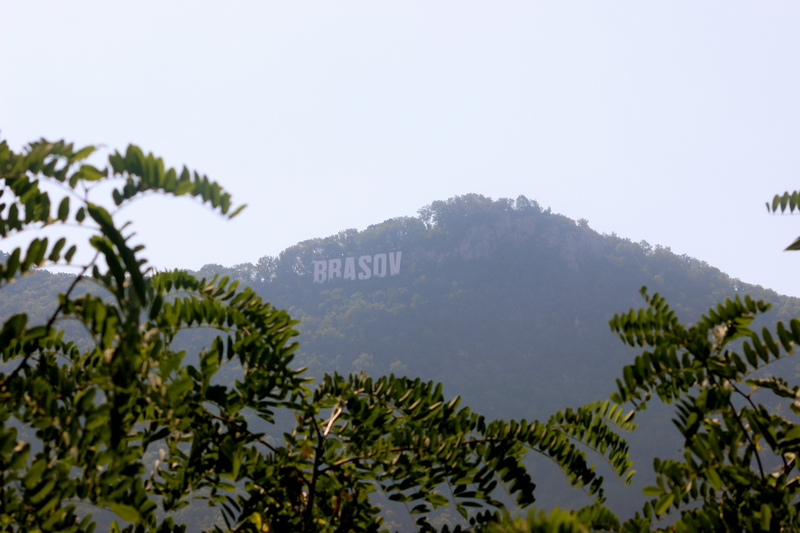 Jump cut three hours in M60 and a two-hour train ride later, we arrive in Brasov, the wonderfully weird and tacky ‘Brasov’ style Hollywood sign welcoming us from the top of the Tâmpa Mountain. 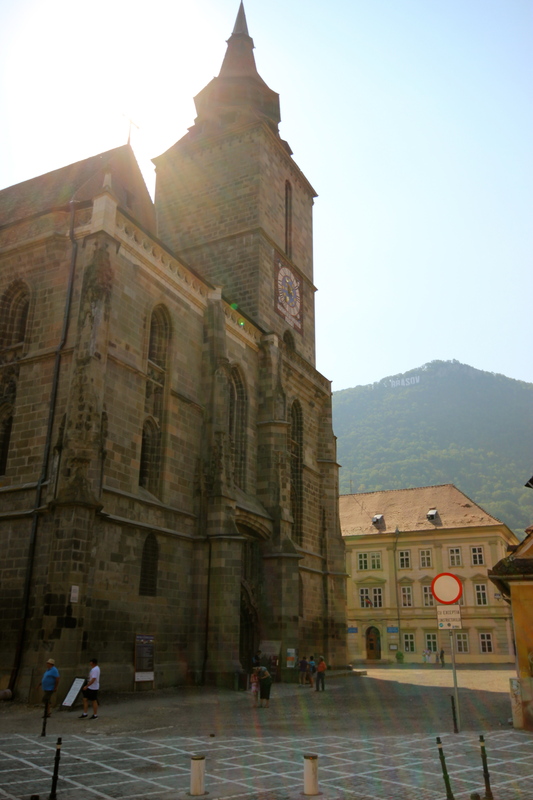 Brasov is a really picturesque small city, and we’re lucky enough to be staying right in the centre of the old town, at Jugendstube Hostel. The rooms are cheap so we’re splurging and enjoying the biggest private room you’ve ever seen in a hostel, complete with ensuite –and it’s only 25euro nightly for the both of us. 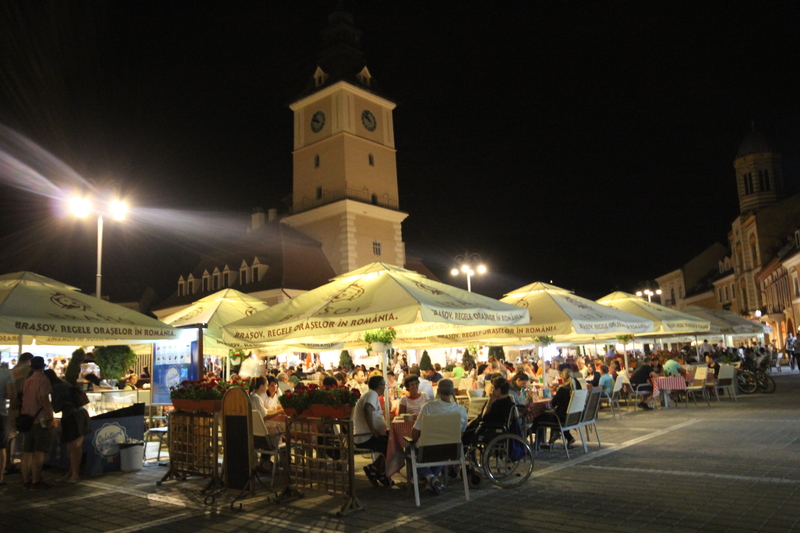 Jugendstube doesn’t have much in the way of communal ‘hangout’ areas, but I get the feeling people don’t spend too long in Brasov, so they probably spend as much time outside their accommodation as possible to make the most of this beautiful place. 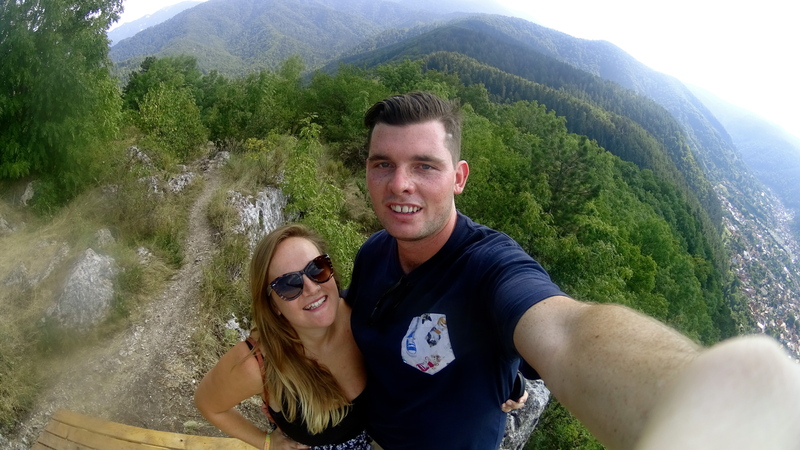 Although we ate some amazing food in Bucharest, it wasn’t really even slightly ‘traditional’ Romanian, so one of the first things we wanted to do was seek out some local cuisine. 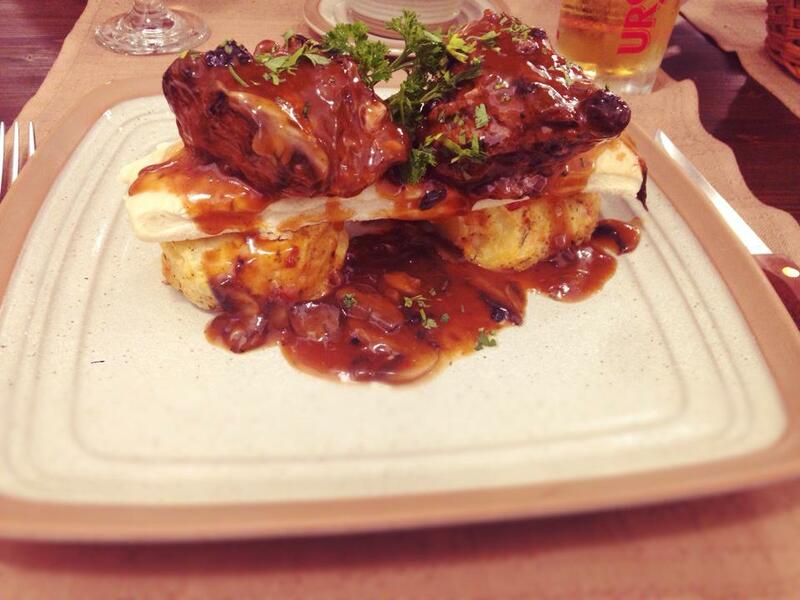 Jugendstube recommended a place very nearby, Sergiana’s. It’s a large underground restaurant that’s probably three quarters full of tourists, and all the staff where slightly gimmicky uniforms. 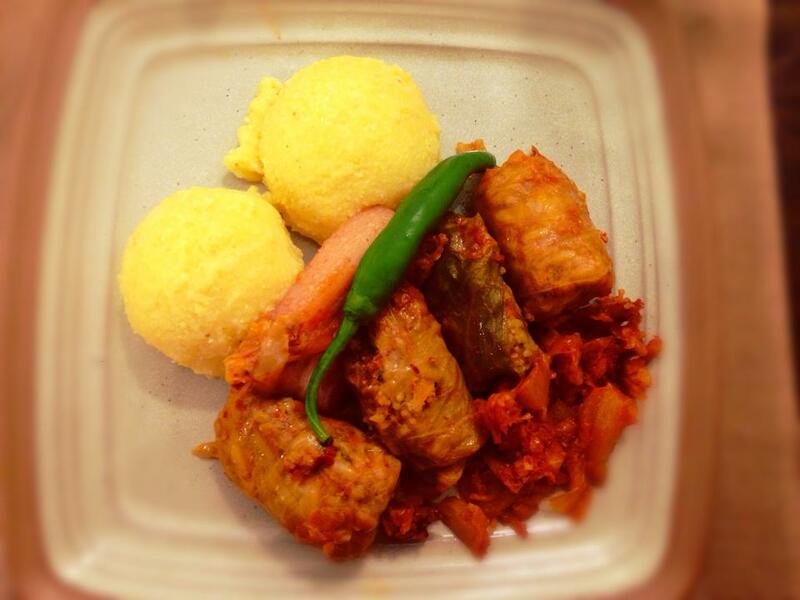 I ordered the ‘Sarmale’, a traditional Romanian dish, which is beef and pork mince wrapped in cabbage leaves served with polenta and sour cream. It was not bad at all, and a good size considering most of the time we’ve spent in Eastern Europe, restaurants don’t often don’t understand what is an appropriate portion size for a human and say, a horse. Daniel tried to order the veal stew, but instead was served another veal dish which is never going to taste as good as the thing as you originally wanted. Overall, the food was pretty good, but Sergiana’s was really let down by the service. 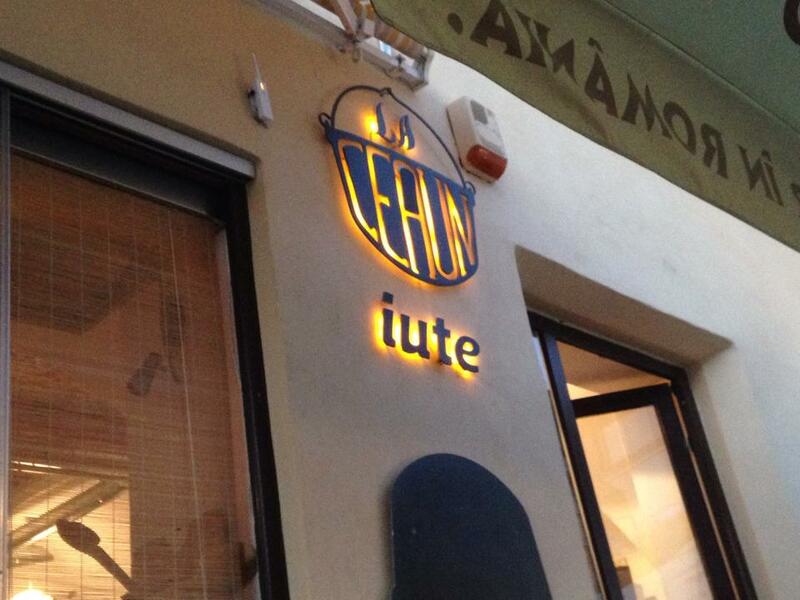 Slow service, order mix-ups and a refusal to serve us tap water meant we left feeling a little disappointed by it all. Daniel’s veal medallions (not veal stew). Some other interesting menu items. 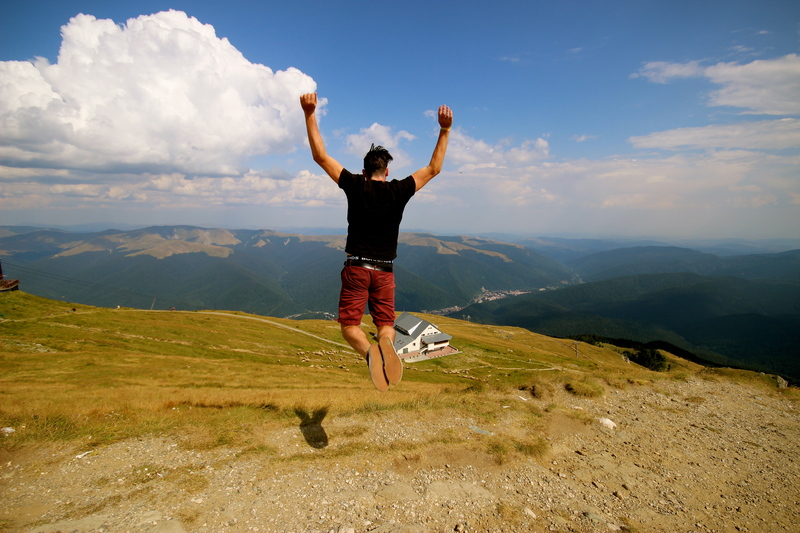 The next day was our chance to try and see and do as much as possible, as we only have two full days here, and one of them is going to be mostly spent at the nearby Sinaia. Visiting the black and white towers. Honestly, a little underwhelming. The white tower has a small museum inside, but all the information is in Romanian only, so we paid entry to understand nothing and also there are hardly any windows inside so you can’t even enjoy the view over the city while walking around confused. The black tower (not even black anymore) is a few hundred metres away, and when we went to the front we couldn’t even get inside. 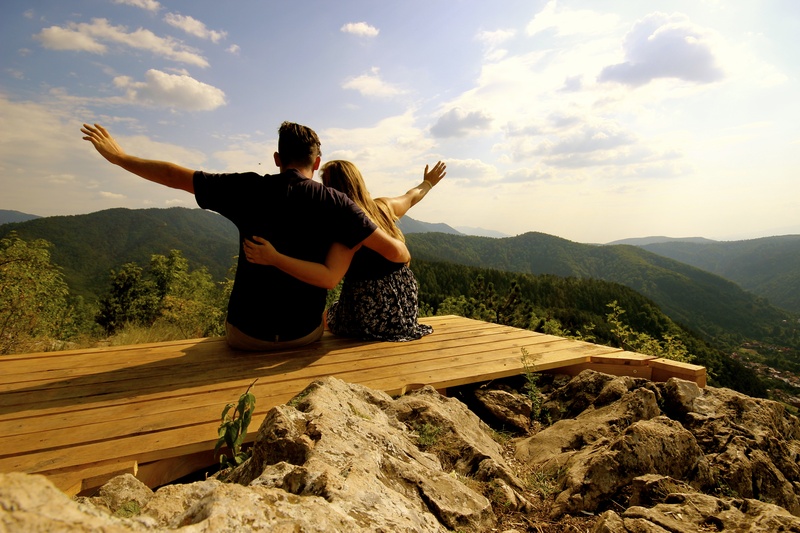 Their redeeming factor was that they are both located on top of a hill on the outskirts of the city, so once you arrive there, you have some pretty impressive views of the old town and Tampa mountain. P.S. Daniel says it was a ‘small hill’ but I disagree, it’s also not as easy to climb when you’re unprepared and only wearing a sundress and Birkenstocks. Views from the black tower. 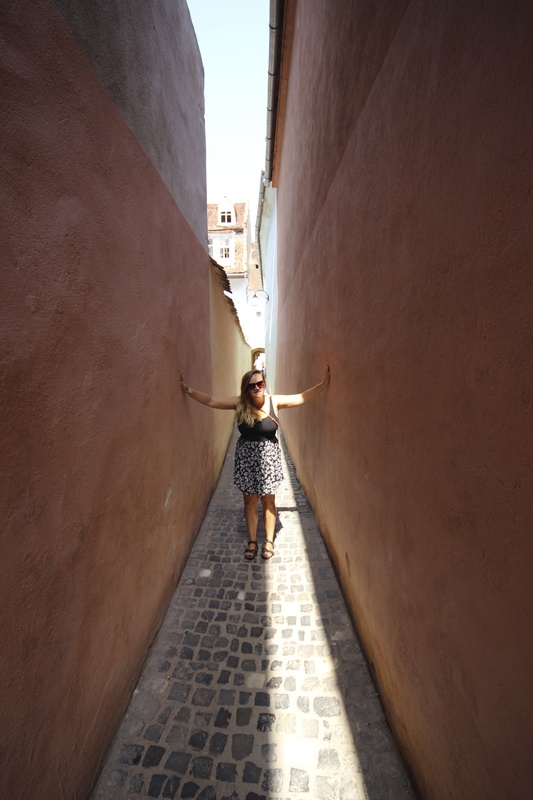 Located in the old Jewish Quarter, Rope Street is the narrowest street in Europe. It’s a worthwhile quick visit, and the novelty photo with your arms stretched out is essential –don’t take too long though as the street is still very functional and you’ll hold up traffic! Top of Tâmpa Mountain to see the ‘Brasov’ sign. I’ve done a few Google searches now, and still can’t find a definitive answer as to why this sign exists. 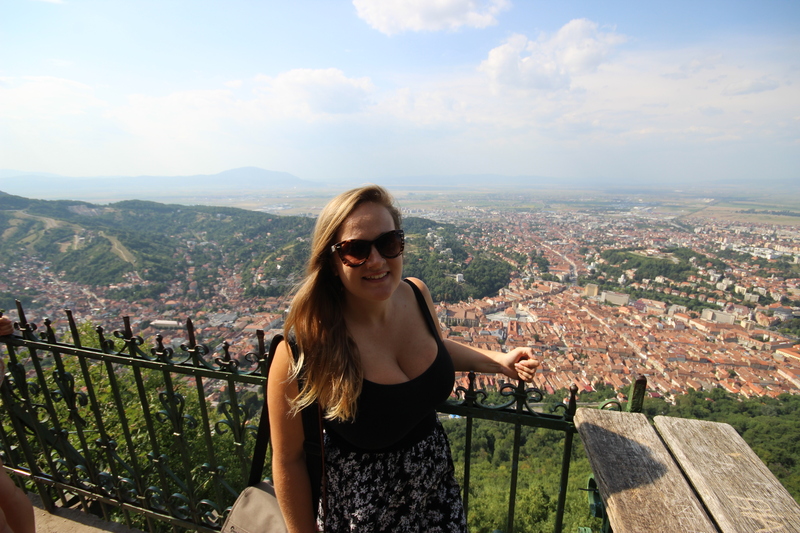 I hate it and love it at the same time, but it’s definitely worth taking the gondola up the mountain, walking 10 minutes and taking a few snaps on the viewing platform next to ‘Brasov’. 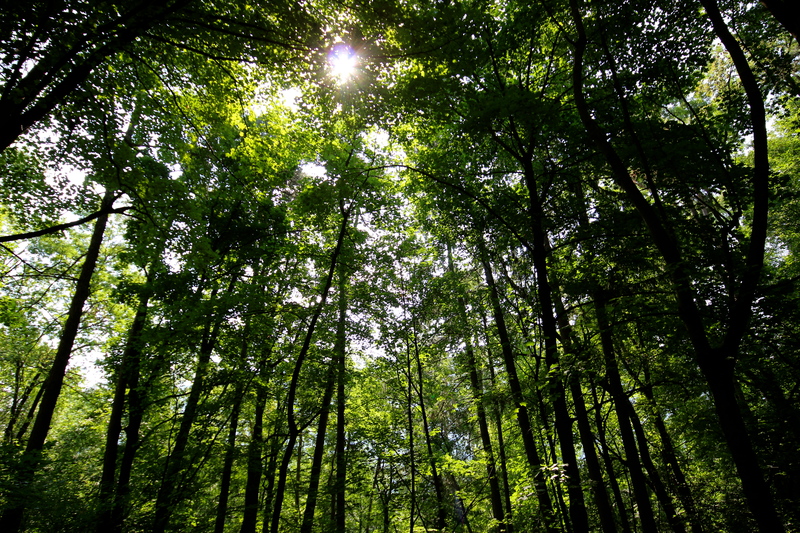 Once you’ve wrangled through all the people, explore the area a little. 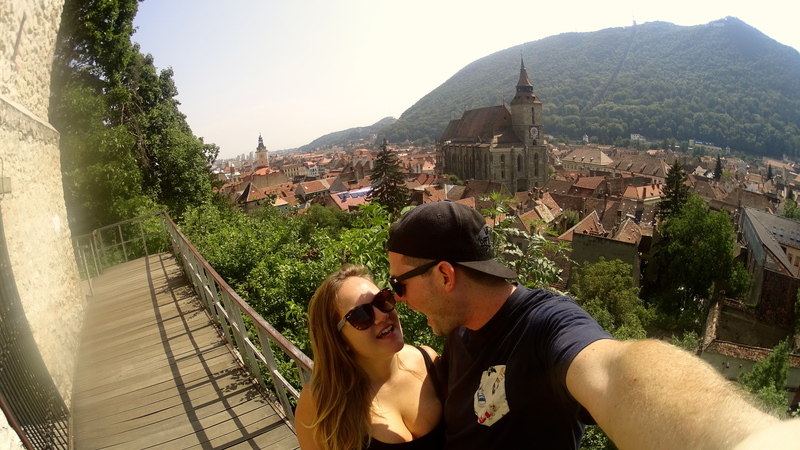 We walked barely another 10 minutes uphill before we found a beautiful little decked area, with rolling green mountains to your left, and then the city of Brasov to your right. We spent more time sitting here than at the sign, taking it all in and hoping Dracula had come to this very spot and created this deck just for us to sit here and ponder. I feel like a fraud writing this, because we didn’t go inside, but I still have to include it. We were a bit limited on time, and felt we admired it enough from the outside to warrant going inside. Also, once you’ve been bussing round Europe for five months, you start to become immune to churches unfortunately. I was emotional having to hike the hill to the towers in the morning, but Daniel gets near emotional if we consider having to enter another historical church. 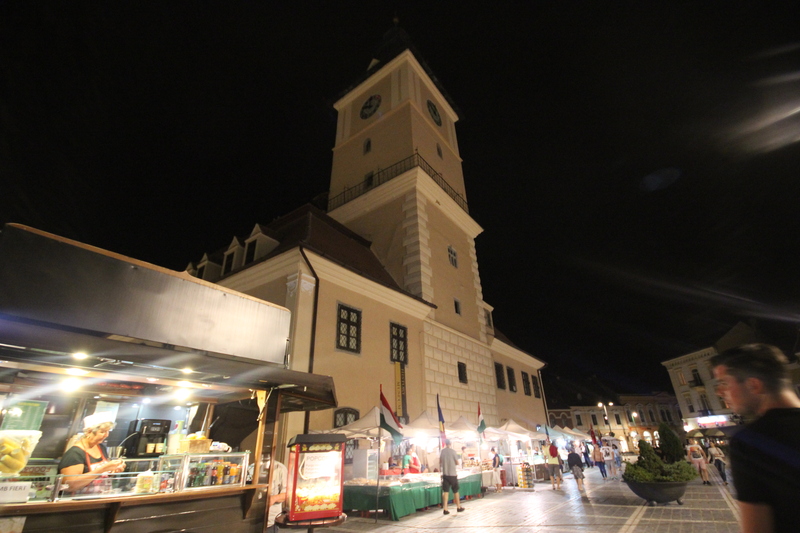 Our second night in Brasov and we were on a mission again to try and eat some more local food, hopefully surpassing the experience of Sergiana’s. We settled on a place literally only a few doors away from Jugendstrobe, La Ceaun. In stark contrast to Sergiana’s, the menu is far shorter and less extensive, but for us this is straight away a good sign. Always trust the restaurants where they have a small menu, it (usually) means they are passionate about fresh, simple food. We’d had a cheap day today, so ended up ‘splurging’ and getting three courses plus a few beers and half a litre of white wine. 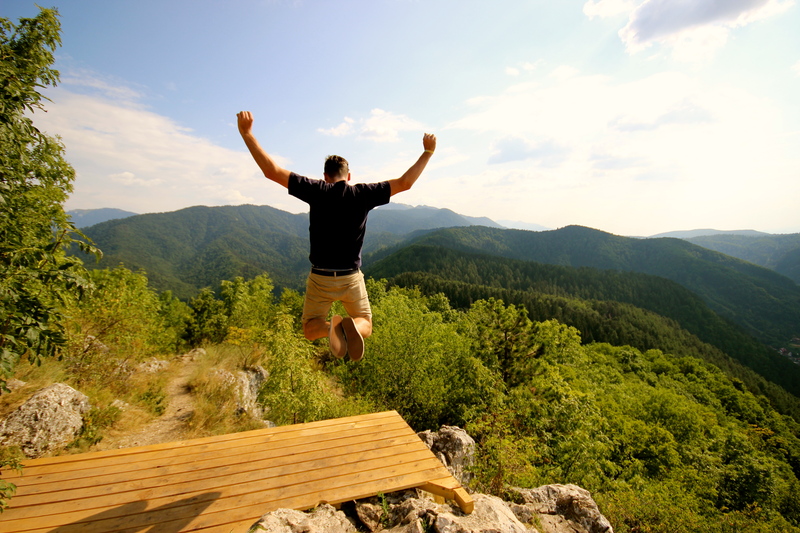 How can budget travellers afford such luxuries? 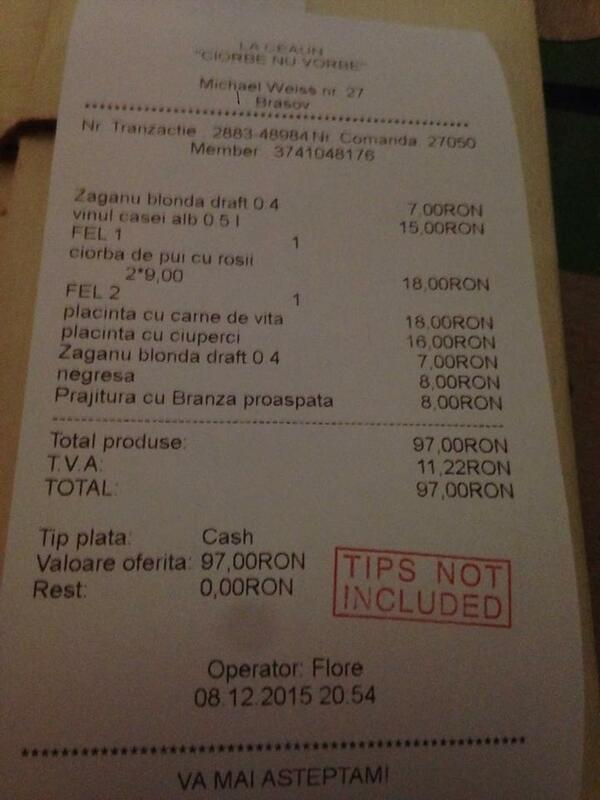 Well look at the receipt below and see… 97RON is about $33AUD! Of course we left a tip because all of the dishes were great, plus we had friendly service (sometimes a rarity in Romania), but it still cost less than $40AUD. Unbelievable. $33 for three courses and drinks. 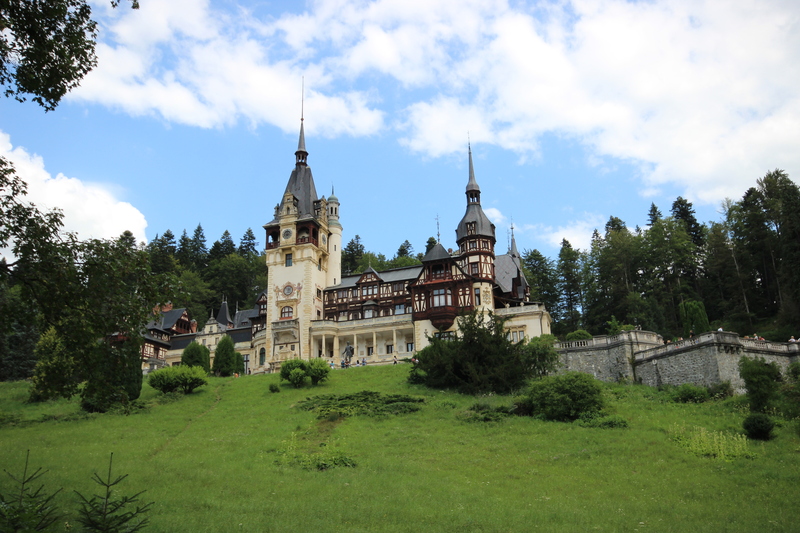 Our final day in Brasov was mostly not spent in Brasov, but rather an hour or so out of town at Sinaia –where the famous Peles Castle is found. 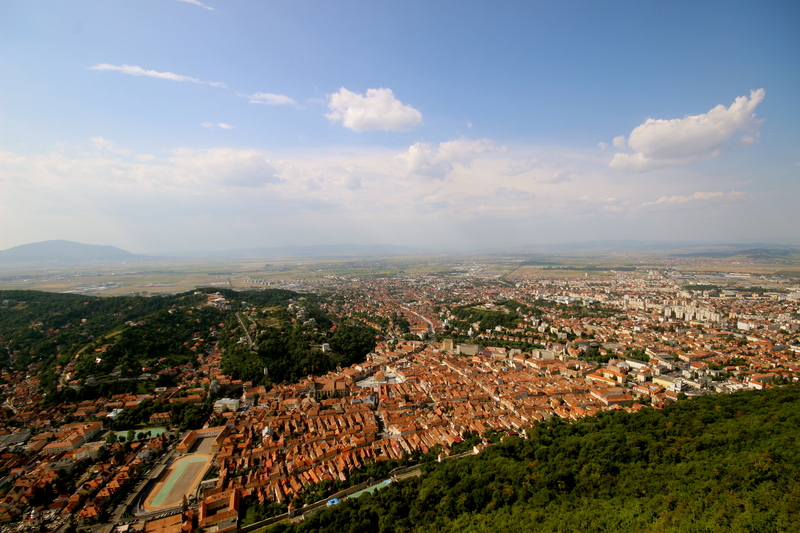 Brasov is also close to Bran Castle, also known as ‘Dracula’s Castle’ from Bram Stoker’s classic novel. We wanted to visit Bran as well, but the hostel warned us that it is absolutely crawling with tourists/tour buses this time of year, and we should be prepared for that. We’re really at a point now where we’re starting to grow sick of seeing endless attractions, being shepherded through like sheep, ducking underneath people’s selfie sticks and queuing for a lifetime. 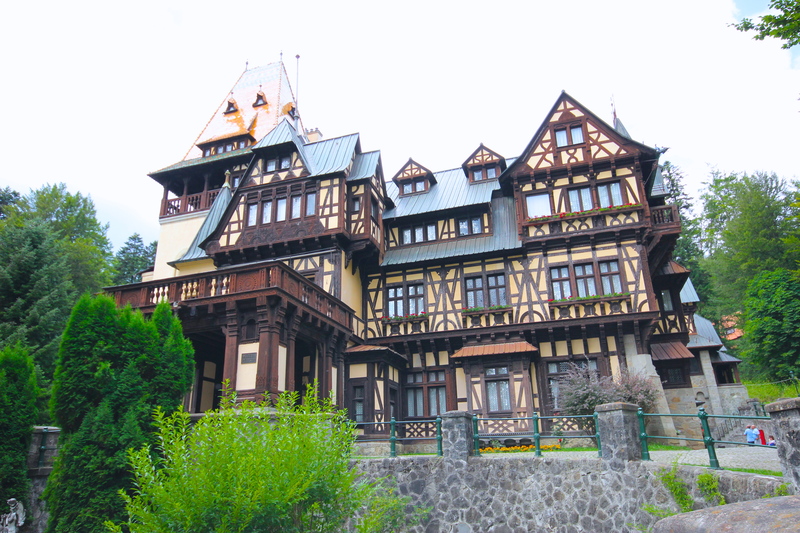 Yes, Bran Castle I’m sure would have bee amazing, but we opted to visit Sinaia because in fact Peles is meant to be just as beautiful, plus the town of Sinaia is also worth a visit alone apparently. They both didn’t disappoint, and I’ve included some photos below. 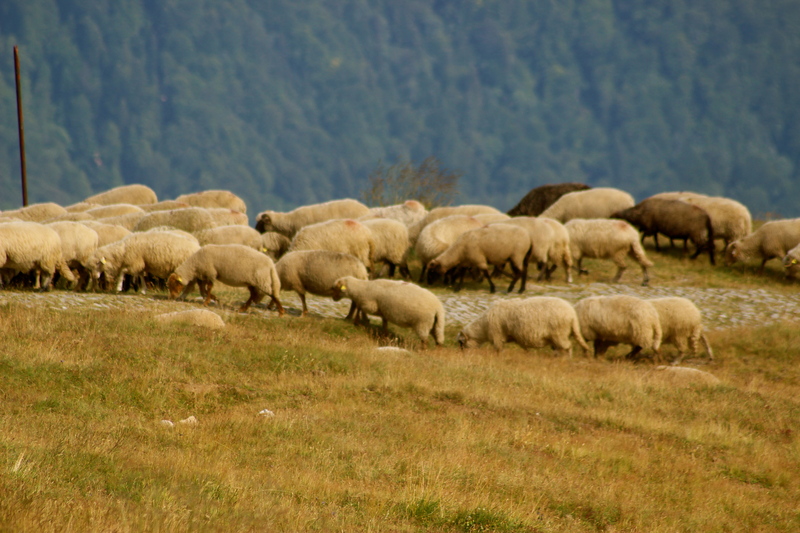 The Romanian countryside, specifically Transylvania, has been nothing short of stunning and fairytale-esque. 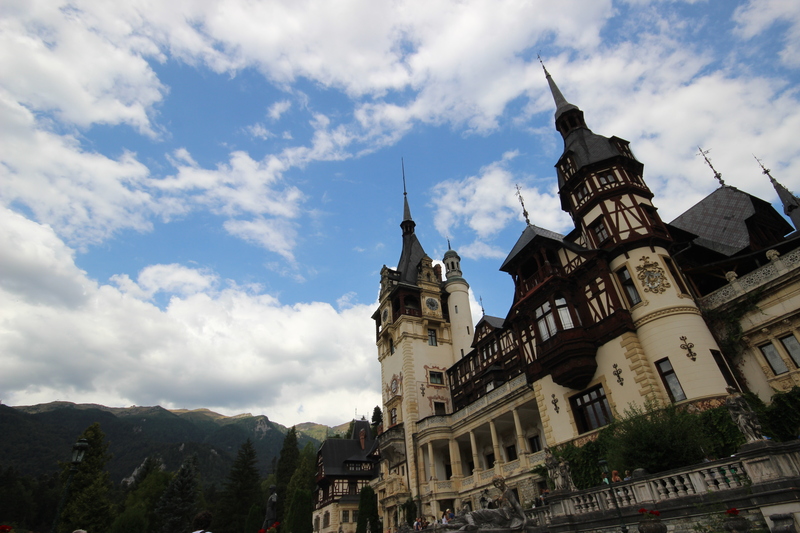 Aside from the castles here, Sinaia is also a popular winter ski town, and we spent part of our day here paying to ascend the mountain and walk around the top of the slopes. It was unreal. On top of the world…sorta. 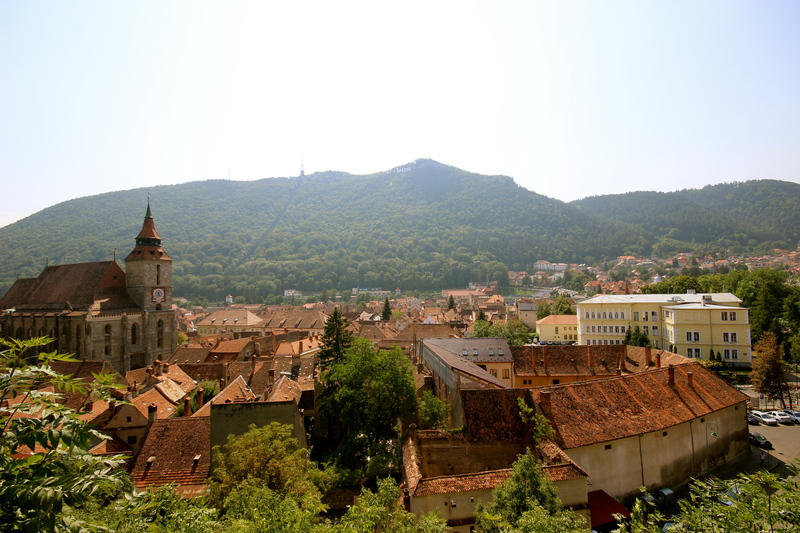 Our time in Brasov came to a sudden end, and although we’d done more or less everything and ‘ticked off all the boxes’, I still feel like I could of spent another couple of days here. It’s simply a beautiful city, at the base of a mountain and surrounded by lush forest. Like I said, fairytale. 50 shades of green on the outskirts of the city. 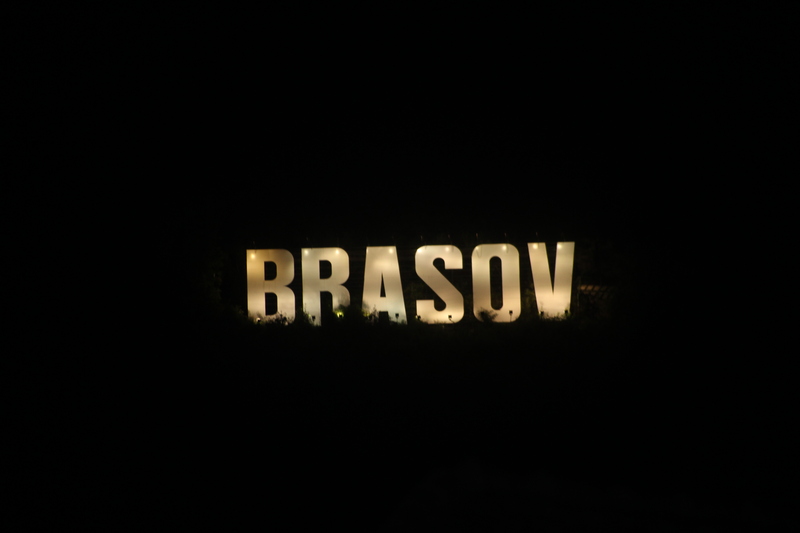 We finished Brasov only appropriately, walking around the old town at night, passing endless buzzing restaurants and bars, sharing some home made chocolate cake we bought from the markets in the square and looking up at the bizarre ‘Brasov’ sign watching over us from Tâmpa.